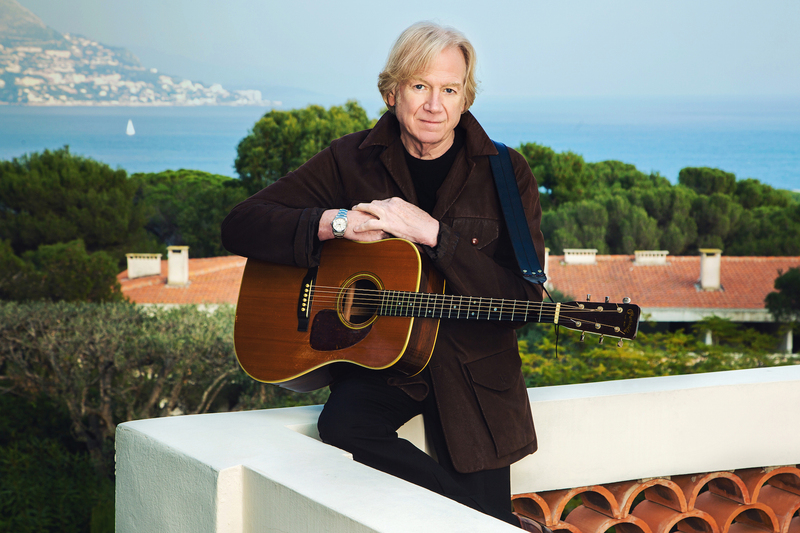 Having chalked up fifty years at the peak of the music and entertainment industry, Justin Hayward’s voice has been heard the world over. Known principally as the vocalist, lead guitarist and composer for the Moody Blues, his is an enduring talent that has helped to define the times in which he worked. Over the last forty-five years the band has sold 55 million albums and received numerous awards. Commercial success has gone hand in hand with critical acclaim, The Moody Blues are renowned the world over as innovators and trail blazers who have influenced any number of fellow artists. Justin is honoured with the Moody Blues on the Rock Walk Hall of Fame on Sunset Boulevard and this year the band will be inducted into the Rock & Roll Hall of Fame. Having started the ball rolling as a songwriter in his own right with a couple of solo singles, he joined the Moody Blues in the summer of 1966. Hitting his stride immediately with the single “Fly Me High”, he followed it up with the classic hit songs “Nights in White Satin” and “Tuesday Afternoon” from the seminal album Days of Future Passed. This album went on to become a favourite of the NASA astronauts and was taken aboard the Atlantis shuttle space craft by Chief astronaut “Hoot” Gibson on many missions. This purple patch showed no sign of abating as Justin created other classic, era and genre-defining hits “Question”, “The Voice”, “I Know You’re Out There Somewhere”, “The Story In Your Eyes” and “Your Wildest Dreams”. These laid the foundation for the incredible success story of the Moody Blues – as well as his solo work – which continues to this day. When the Moody Blues took a break from touring in 1975, Justin worked on the Blue Jays album, followed by the hit single “Blue Guitar” (recorded with the members of 10cc). Although the Moodies continued to record and tour at the highest level, Justin also found time to create several solo albums: Songwriter, Night Flight, Moving Mountains and The View From the Hill.